This is a really sweet and unusual vintage style jewellery design. 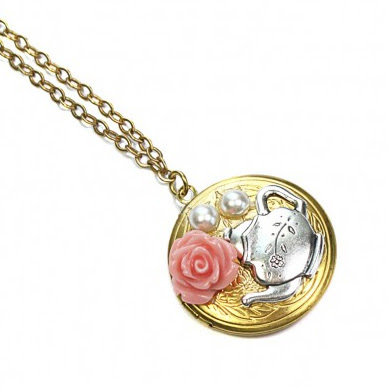 I have taken a lovely brass locket and decorated it with a cute silver teapot, peach cabochon flower and a faux pearl. I have hung the locket from vintage gold look chain. Perfect for your afternoon Alice in Wonderland tea party! 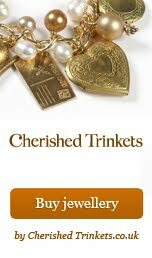 As always you can find more of my handmade Alice in Wonderland jewellery in my Cherished Trinkets jewellery collection.